Most of the Chevy Camaros were ordered using the Regular Production Option (or RPO) method. This provided a wide variety of performance and styling upgrades, but the Central Office Purchase Order (COPO) is legendary for creating rare, super secret, high performance Camaros. The COPO system was truly intended for more mundane fleet type of alterations. 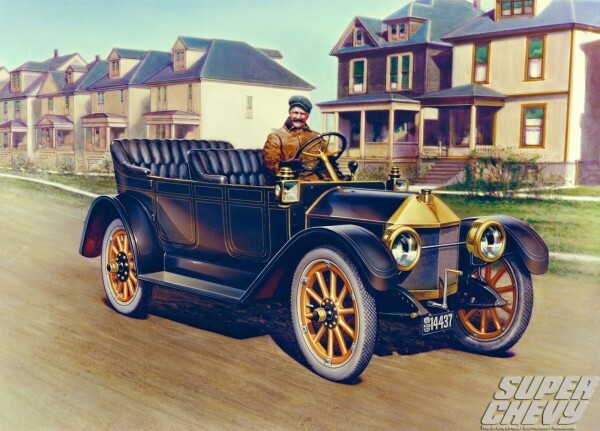 The most common use of COPO system was to specify fleet paint schemes for municipal vehicles, heavy duty springs and special fabrics for use in taxicabs. It was never intended for creating ultra high performance Chevrolet vehicles, but try telling that to Don Yenko, Baldwin-Motion, and Berger Chevrolet. Don Yenko of Canonsburg, Pennsylvania, is largely credited with being the first to exploit Chevy’s COPO system. Exploiting it, is probably not the right term to use here, Yenko simply build Chevrolets the way he thought they should have been built all along, more powerful. Chevrolet had two primary COPO codes for camaro 9560 and 9561. There were also, perhaps one of the best keep secrets, the COPO 9567 option. Without a doubt, the most exotic of all Camaros were those rare 1969 models equipped with COPO 9560, which cost $4,160.15 above the cost of a base Camaro coupe. The price tag ran higher if any other options were ordered. 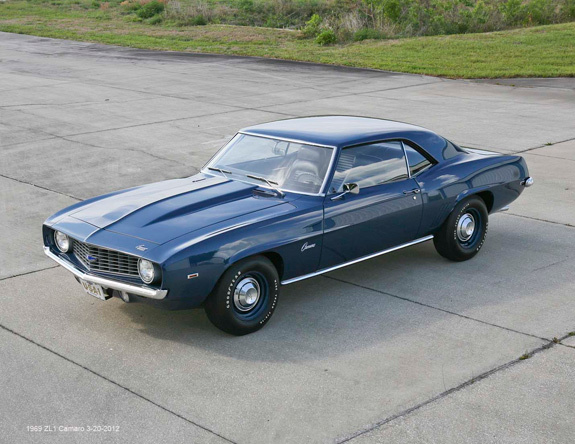 At $7,000 new, it was quite simply, the most exotic engine available at the time from any auto maker, the all-aluminum ZL1 427. 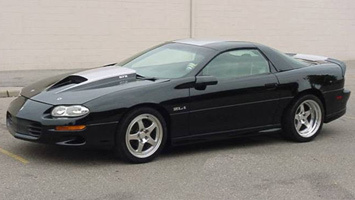 The ZL1 featured an aluminum cylinder case, cylinder heads, intake manifold, and even an aluminum water pump. The ZL1 was fitted with forged aluminum Chevrolet TRW pistons, which squeezed on the air/fuel mixtue at 12.25:1. This predominantly aluminum ZL1 engine was incredibly lightweight. For comparison, the ZL1 weighted roughly the same as a typical cast-iron “small block” 350 V-8. Chevrolet was hoping to get the ZL1 Camaros into the lower class in the National Hot Rod Association (NHRA) and the International Hot Rod Association (IHRA) drag racing, because they knew results at the track was results in the showroom. Chevy under rated the horsepower at 425, but both sanctioning bodies quickly saw through chevrolets facade and re-classed the ZL1 engine into the appropriate class. Word spread fast, the stock ZL1’s were churning out nearly 550 horsepower on the dyno. Professional engine tuners, quickly changed from the pathetic cast-iron exhaust manifolds to tubular exhaust headers which allowed the engine the produce enormous horsepower. Though teams kept the true horsepower secret, drag strip performances in the mid-10-second bracket indicated that they were developing around 600 horsepower. Today, these COPO Camaros are some of most coveted Camaros ever. This was not the case the late 60’s, given its steep price tag most Camaro buyer passed on these exotic optioned Camaros. In fact, most of the 9560-equipped Camaros that made it to the dealers’ showrooms sat there for ages before ultimately being sold at a steep discount to get them off the lot!